The EPT-150 is designed as a high-accuracy development platform for the electric motor and inverter testing. Thank you for your interest in the EPT-150 Performance and Endurance Tester. Please fill out the form below so we can send you the brochure. Thank you for your interest in the EPT-150 Performance and Endurance Tester. Your request has been submitted to our sales department, and we will get back to you soon. 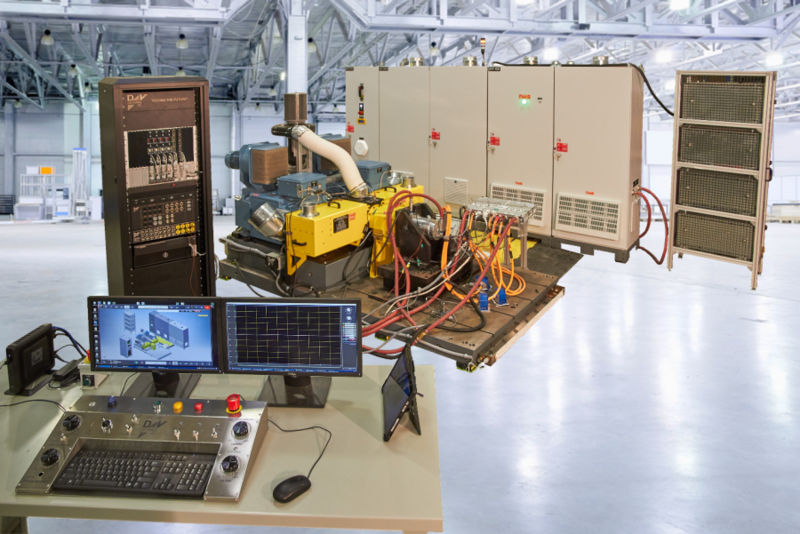 Capable of rigorously testing a wide range of speed and torque, D&V’s electric motor and inverter test systems provide the ultimate performance testing. Designed for high accuracy and extreme durability, D&V’s test systems are equipped with customizable software, extremely fast data acquisition and modular motor systems which can test both high speed and high torque in one system. Simulation features and vehicle network control are all available to be included with the system to provide a full testing suite. The following video is showing a 3D model of the tester design.